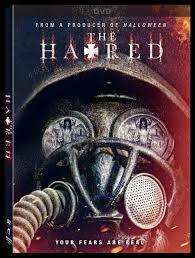 The Hatred (2017): "In death we are free"
The Hatred, (directed by Michael G. Kehoe and starring Andrew Divoff, David Naughton, Amanda Wyss, Sarah Davenport, Gabrielle Bourne, Bailey Corman, Alisha Wainwright, Nina Siemaszko, Shae Smolik, and Darby Walker) was released on DVD/Blu yesterday. I’m very excited about the upcoming podcast interview with Michael Kehoe, and Andrew Divoff’s upcoming announcement of his new business venture, Three Marm Brewing. In the meantime, I’ll share my thoughts about the film itself. Without revealing major spoilers, the first part of the film takes place in 1968, in which former Nazi soldier Samuel Sears (Andrew Divoff) has assimilated into American society as a reclusive farmer. He receives an amulet in the mail from one of his Nazi associates, and the amulet prompts a series of violent events at the farmhouse. In the present day, a group of young women on a weekend retreat at the old farmhouse encounter the amulet’s evil influence along with the ghosts of Sears’ family. The trailer looked massively creepy, but the scenes involving the four young women in the present-day scenes made me a bit worried that the film itself would involve a bunch of shallow, bubble-headed bimboes being terrorized in typical slasher film fashion. Fortunately, I was very wrong about this point. The young women are actually intelligent and inquisitive. One of the funniest moments that counters audience expectations is when the blonde Samantha (Bailey Corman, the niece of Roger Corman) not only recognizes a gruesome artifact as an 11th century Viking death mask, but also exclaims, “I’m in heaven!” Later, Samantha is revealed to be a scholar and serious history buff. Once the malevolent supernatural activity really kicks off, the young women react by researching the history and properties of the amulet rather than becoming hysterical. The film’s performances are solid. Darby Walker is great as Sears’ daughter, Alice, who meets an unpleasant end early in the film. 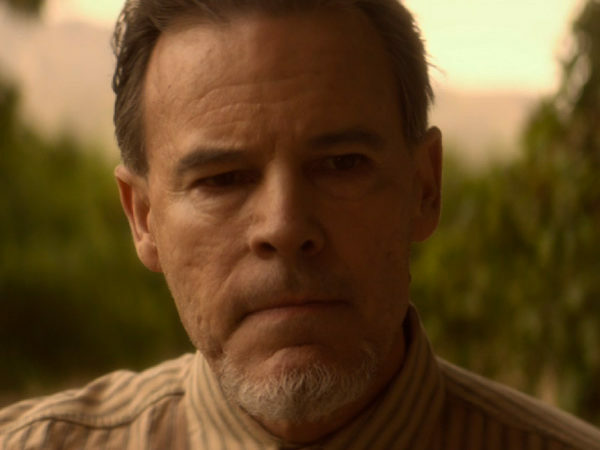 Andrew Divoff is phenomenal as the ex-Nazi Samuel Sears. He’s as menacing as you would expect, based on Andrew’s other bad-guy roles, but he also shows some sensitivity and emotional vulnerability in some of the scenes, adding complexity to his overbearing, authoritarian patriarch character. There are also some unanswered questions about this character and his relationship to the local Sheriff. It seems like the Sheriff has some skeletons in his own closet, and Sears leverages this knowledge to prevent the Sheriff from conducting any serious investigation into Alice’s disappearance, or from outing Sears as a former Nazi. Don’t go into this movie expecting a T&A slasher film, or even blood and gore. (Though there is a flashback sequence that makes me wonder if Sears disemboweled and taxidermied Alice.) 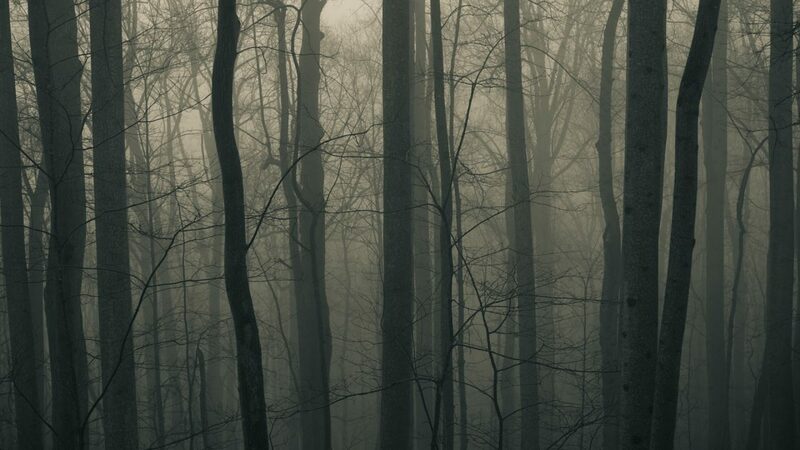 Instead, it’s a character-centric ghost story with an emphasis on atmosphere and spookiness. Pick up your copy of The Hatred on Blu-ray today! Also, those of you in Southern California can meet director Michael Kehoe, FX designer Gary Tunnicliffe, and cast members Andrew Divoff, Sarah Davenport, Amanda Wyss, Gabrielle Bourne, Musetta Vander, and Nina Siemaszko at Dark Delicacies on September 16, 2017.